Protecting marine life and conserving biodiversity remains the main driver behind the creation of marine protected areas. But this goal has evolved. Marine protected areas are now widely seen as a tool to rebuild fish stocks and ensure sustainability of fisheries outside their boundaries. Intuitively, closing off areas to fishing to help the long-term recovery of fish stocks sounds simple enough. But not everyone is convinced. 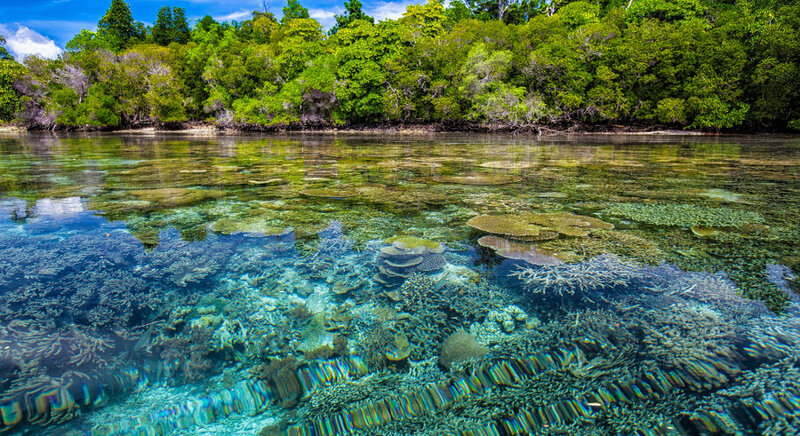 Some critics counter that marine protected areas only really extend “protection” against one threat to oceans — legal fishing — from a long list: think global warming, acidification, oil spills, plastic pollution, agricultural waste, illegal fishing. Take Australia’s iconic Great Barrier Reef National Park, for example: Despite being considered one of the best-protected and most successful marine parks in the world, its coral reefs just suffered two years of severe bleaching and death due to warming waters. Many scientists have also expressed concern over what marine protected areas mean to people who depend on fisheries for their living. As with terrestrial protected areas, conservationists and governments are now trying to understand how marine protected areas affect local people and find ways to either improve their lives or at least avoid harm. Countries are now frenziedly creating more marine protected areas, increasingly very large ones, either out of genuine concern for marine life or to meet international targets. In the midst of it all, the efficacy of this conservation tool remains heavily debated. Is establishing marine parks better for species and habitats than leaving areas unprotected? Do marine parks improve fisheries and the well-being of fisheries-dependent communities? A recent study published by Mongabay examines the evidence in detail. Overall, researchers say that there is quite a lot of evidence to show that marine protected areas can benefit species, particularly those that have been threatened historically within the protected area boundaries. But some recent studies have found that merely creating a marine protected area does not mean that biodiversity conservation goals will be achieved. They have to be done right in order to work. In a study published in 2014, for example, the University of Tasmania’s Edgar used data from 87 marine protected areas collected largely by trained recreational scuba divers, and found that the levels of fish biomass in more than half of the protected areas were not very different from adjacent fished locations. Our understanding of how marine protected areas affect the well-being of local people is currently poor. Rigorous studies are rare, according to experts, and indeed this study turned up mostly case reports showing varying outcomes that cannot necessarily be attributed to the marine protected areas. Read the full publication at Mongabay. This article was taken from The ups and downs of marine protected areas: Examining the evidence, published on 25/01/2018 and is part six in the Mongabay series Conservation Effectiveness. Read the other stories in the series here.